All orders placed held and shipped together in 2-3 weeks from your cutoff date. Orders placed by "Sept 25, 2016" have the option of being delivered to your team with no ship charge. Just enter coupon code "Northcobb" in the navy cart box on the left of your screen. 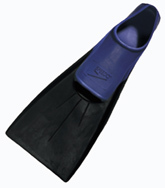 Your Coach has requested that everyone bring a KICKBOARD to practice.